Hi, I’m Terry Whin-Yates from Mr. Locksmith. I’m a third-generation locksmith. I have a criminology degree. I’ve been in the locksmithing business for over 35 years. When I was in kindergarten I was making sets of picks out of bobby pins. I still have my first set of picks that I basically built myself from Allen keys, bits of hacksaws, spring steel when I could get it. So I’ve been building my own picks my entire life. I’ve been teaching locksmiths, police, government agencies for a long time how to open locks. Covert, overt, seditious entry. I’ve been teaching picking forever. 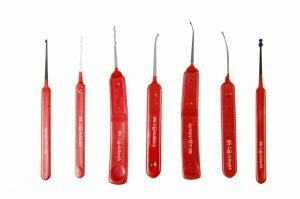 I finally decided to put together my own pick set, my own training e-book, as well as a series of videos on how to pick locks. The picks that I’m manufacturing for the Kickstarter program are made of high-quality North American made steel. This is the best steel available from Canadian or American manufacturers. We’ve got the best. The stuff you’re buying offshore doesn’t last a real locksmith one lock. 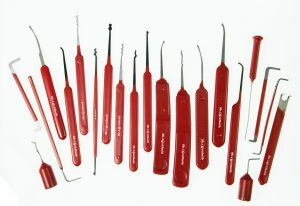 My picks are high-quality steel, they’re manufactured in North America and the picks are fantastic. 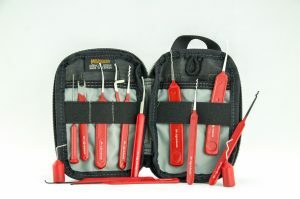 This set will include the basic picks, the ball, the rake, the hook, those are what you have to use as a beginner. The three basic picks that you have to start learning with is the diamond, the hook, and the rake. 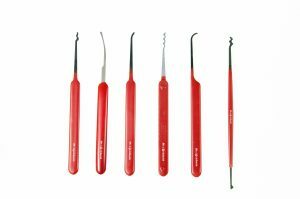 These are beginner picks, but also some advanced locksmiths just like these picks. 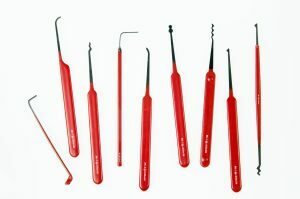 These are the basics; however, when you get your skillset improves and also as you run across different manufacturers, you use specific picks for that. Ball and Hook is one of my favorite picks, but as you can see, the quality here. It’s high-quality spring steel, as opposed to the offshore made. 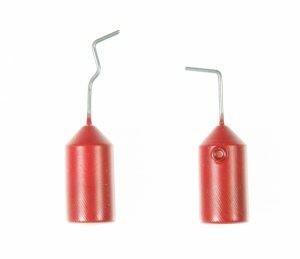 Tension wrenches, same thing, high-quality that’ll last you a long time. Good high-quality North American made picks. As an added bonus you’re not only get the pick set, my favorite tension wrenches, my e-book, my videos on how to pick a lock, as an added bonus I’m going to include my dumb key force tool, free. It’s an extra, it’s got excellent value for the dollar. Sign up now.